After several years of little growth, global emissions of heat-trapping carbon dioxide experienced their largest jump in seven years, discouraging scientists. World carbon dioxide emissions are estimated to have risen 2.7 per cent from 2017 to 2018, according to three studies released Wednesday from the Global Carbon Project, an international scientific collaboration of academics, governments and industry that tracks greenhouse gas emissions. The calculations, announced during negotiations to put the 2015 Paris climate accord into effect, puts some of the landmark agreement's goals nearly out of reach, scientists said. "This is terrible news," said Andrew Jones, co-director of Climate Interactive, which models greenhouse gas emissions and temperatures but was not part of the research. "Every year that we delay serious climate action, the Paris goals become more difficult to meet." The studies concluded that this year the world would spew 37.1 billion tonnes of carbon dioxide, up from 36.2 billion tonnes last year. The margin of error is about one percentage point on either side. The Global Carbon Project uses government and industry reports to come up with final emission figures for 2017 and projections for 2018 based on the four biggest polluters: China, the United States, India and the European Union. 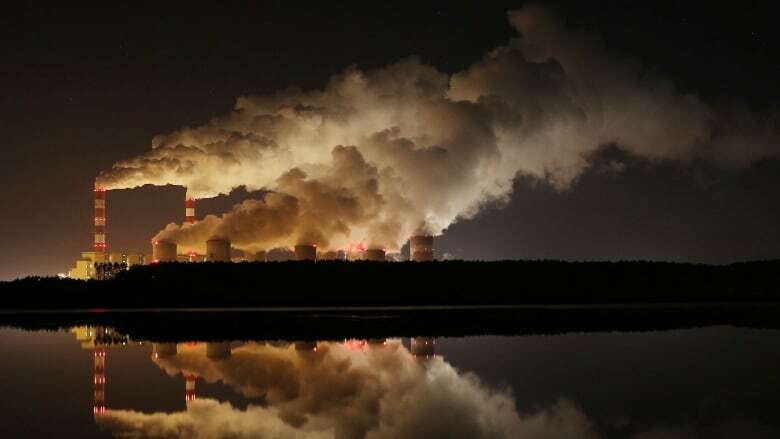 The U.S., which had been steadily decreasing its carbon pollution, showed a significant rise in emissions — up 2.5 per cent — for the first time since 2013. 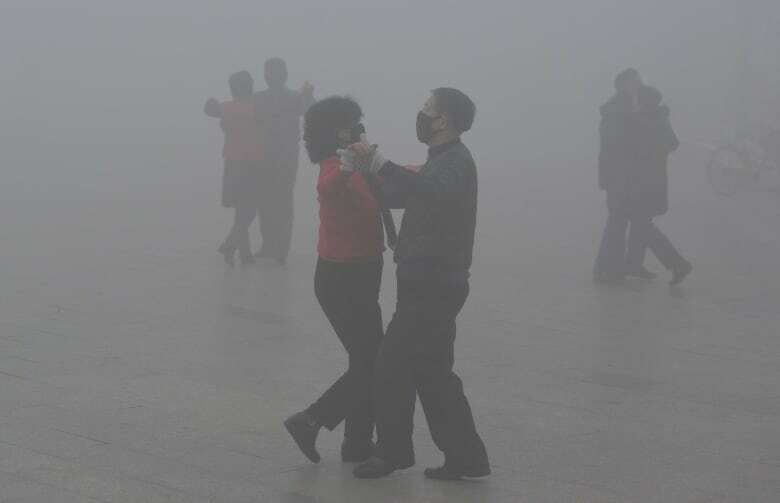 China, the globe's biggest carbon emitter, saw its largest increase since 2011: 4.6 per cent. Study lead author Corinne Le Quéré, a climate change researcher at the University of East Anglia in England, said the increase is a surprising "reality check" after a few years of smaller emission increases. But she also doesn't think the world will return to the even larger increases seen from 2003 to 2008. She believes unusual factors are at play this year. For the U.S., it was a combination of a hot summer and cold winter that required more electricity use for heating and cooling. For China, it was an economic stimulus that pushed coal-powered manufacturing, Le Quéré said. John Reilly, co-director of MIT's Joint Program on the Science and Policy of Global Change, said the results aren't too surprising because fossil fuels still account for 81 per cent of the world's energy use. The burning of coal, oil and gas releases carbon dioxide, which warms the Earth. Reilly, who wasn't part of the study, praised it as impressive. Global Carbon Project chair Rob Jackson, a Stanford University climate scientist, said he was discouraged. The Paris accord set two goals. The long-held goal would limit global warming to no more than 1 C from now, with a more ambitious goal of limiting warming to 0.5 C from now. The trend is such that the world would have to be lucky to keep warming to 1 C, let alone the lower goal, Le Quéré said. China increased its emissions to 10.3 billion tonnes, while the U.S. jumped to 5.4 billion tonnes. The European Union spewed 3.5 billion tonnes and India soared to 2.6 billion tonnes. Overall, the world is spewing about 1,175 metric tonnes of carbon dioxide into the air every second. Use of coal — the biggest carbon emitter — is rising. And while countries are using more renewable fuels and trying to reduce carbon from electricity production, emissions from cars and planes are steadily increasing, Le Quere said. 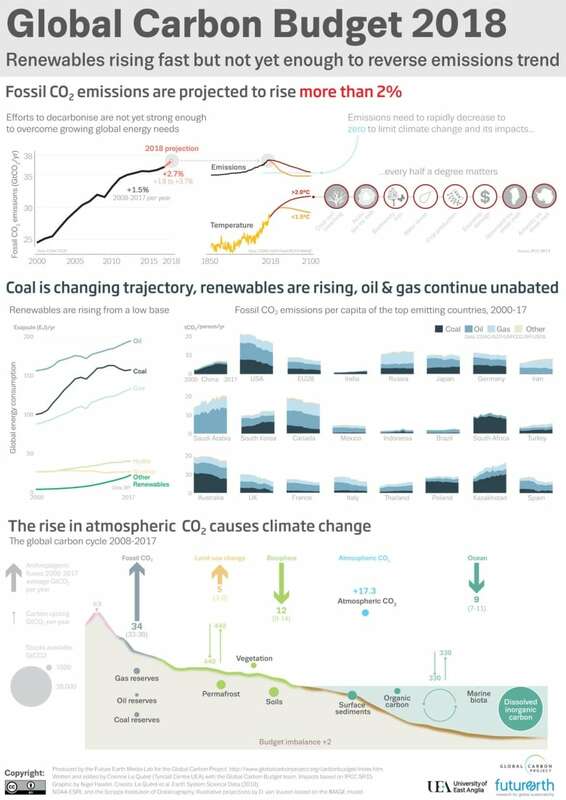 Global carbon dioxide emissions have increased 55 per cent in the last 20 years, the calculations show. At the same time, Earth has warmed on average about 0.38 C, according to the U.S. National Oceanic and Atmospheric Administration.